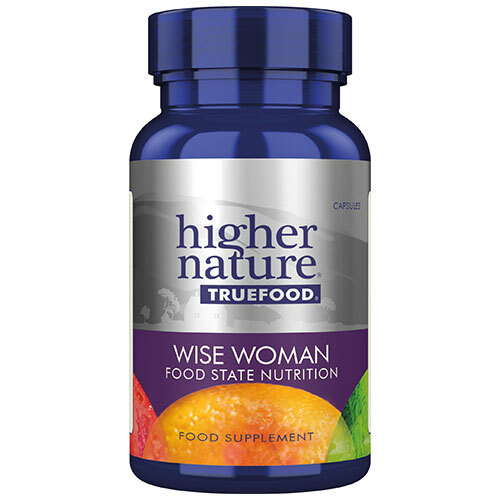 True Food Wise Woman provides vitamins, essential minerals, antioxidant factors, brain foods and amino acids plus a wide spectrum of botanicals selected for women, as well as a hardy probiotic for digestive wellbeing..
As a major advance True Food bio-transformed vitamins and minerals are fermented in a special culture, which complexes them organically, just as they would be in any true food. Independent studies show that True Food bio-transformed nutrients are more effective than isolated nutrients, so much lower intakes of True Food bio-transformed nutrients are needed than with regular supplements. Below are reviews of True Food Wise Woman - 90 Vegicaps by bodykind customers. If you have tried this product we'd love to hear what you think so please leave a review. It is the best combination of vitamins, minerals and micronutrients that I have ever found. Question about True Food Wise Woman - 90 Vegicaps Are the True Food supplements suitable for those with an intolerance to yeast? Question about True Food Wise Woman - 90 Vegicaps Are the nutrients in the True Food range synthetic? 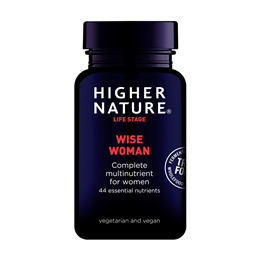 True Food Wise Woman provides vitamins, essential minerals, antioxidant factors, brain foods and amino acids plus a wide spectrum of botanicals selected for women, and a hardy probiotic for digestive wellbeing.